Andrew appears regularly before the First and Upper Tiers of the Tribunal (Immigration and Asylum Chamber), and High Court. He provides advice and representation in all areas of immigration, nationality and asylum law both inside and outside London. His busy practise incorporates asylum and criminal deport appeals. With his understanding of strong advocacy for vulnerable and harmed clients, including children and the physically and mentally unwell, he is available to provide in-depth advice and grounds of appeal in problematic cases whether at an early or late stage. His experience in crime provides him with a confidence in cases raising cross-over crime issues, particularly in Deport and Immigration Bail matters. He receives instructions in a broad range of commercial and non-commercial immigration appeals including family reunion, entry clearance and leave to remain, with a client base including families, business people and students. He works closely with his solicitors in the preparation, advice and the drafting representations. 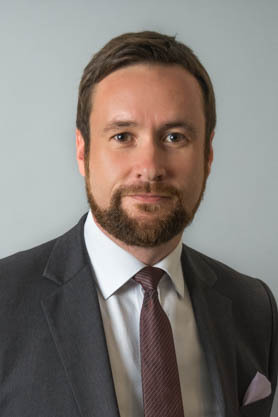 His Public Law practise covers challenges to all immigration decisions and detention before the High Court and Upper Tribunal, and he is available for instruction at a late stage to successfully challenge Removal Directions with injunctive relief. He is available for challenges where a client has been refused NASS Asylum Support and faces destitution, and remains committed to pro bono work and Bail for Immigration Detainees. After graduation from Oxford BA (Hons) in PPE, he worked for several years at Birnberg Peirce & Partners in significant terrorism trials, as well as the ground breaking and complex extradition appeals of USA v Babar Ahmad in the High Court, House of Lords and European Court. One Pump Court's, Andrew Gilbert, discusses his thoughts on a government controlled internet in Lawyer Monthly magazine.